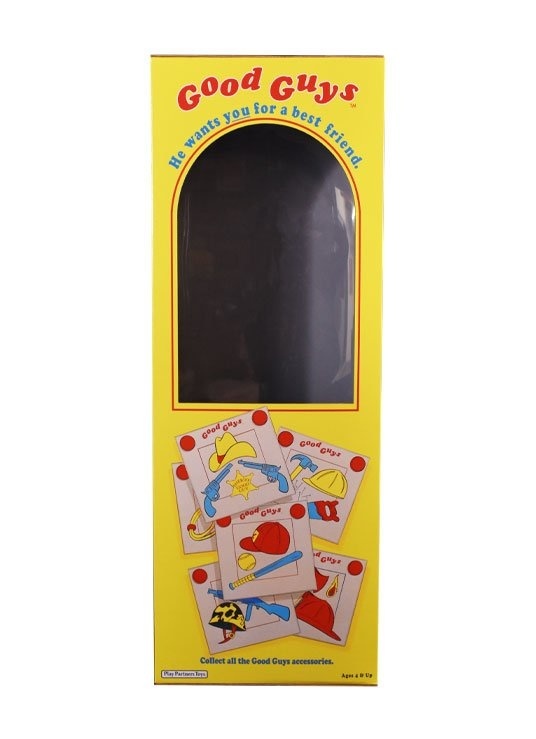 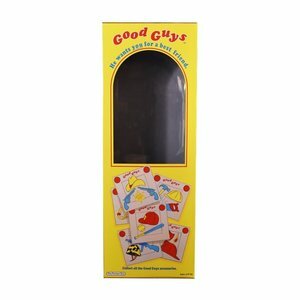 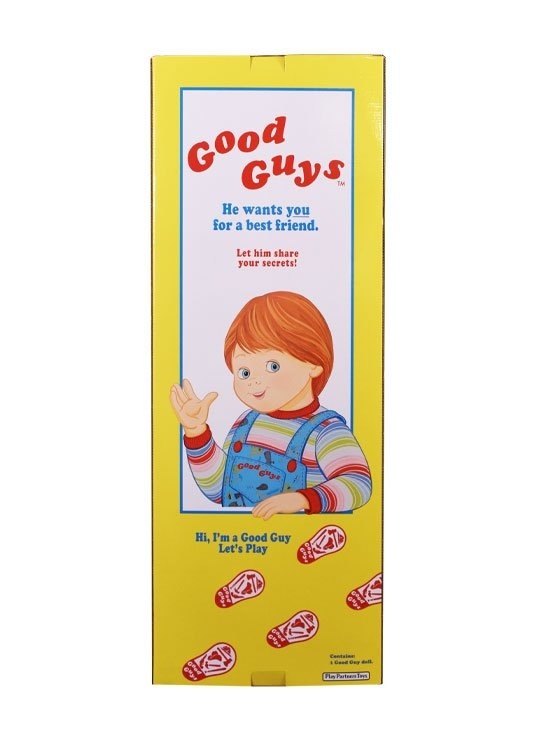 Trick or Treat Studios and Universal Studios are proud to present the official Child's Play 2 Good Guys Doll Screen Accurate Box Replica. 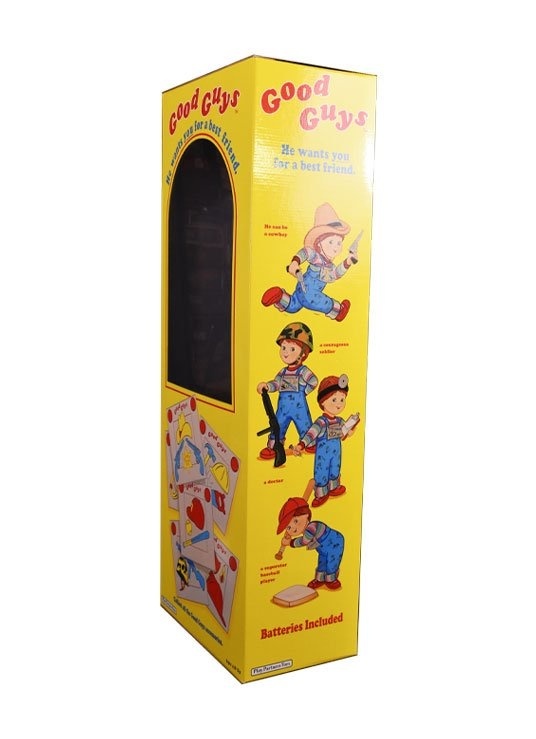 This box is a 1:1 recreation of the one used in the Child's Play films. 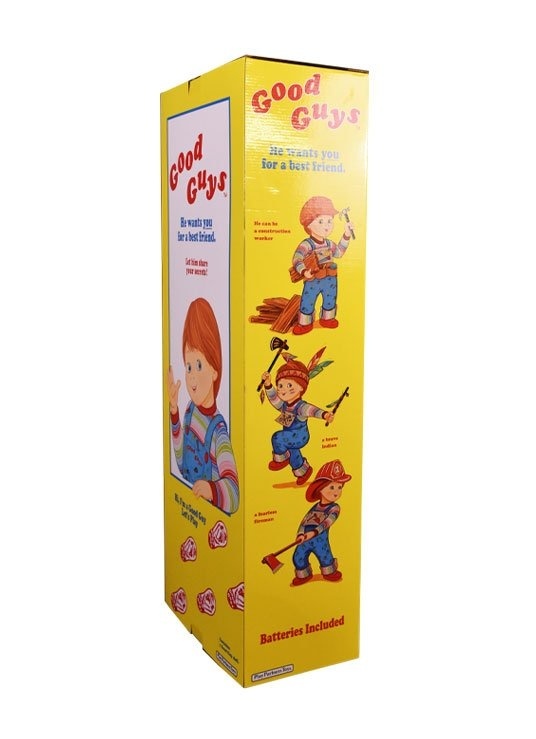 All the art work is taken directly from a screen used prop and retouched to give that fresh from the factory look.